It does taste like peaches, and mint, and real lemonade — not like that powdery/artificial stuff they like to pass as lemonade. 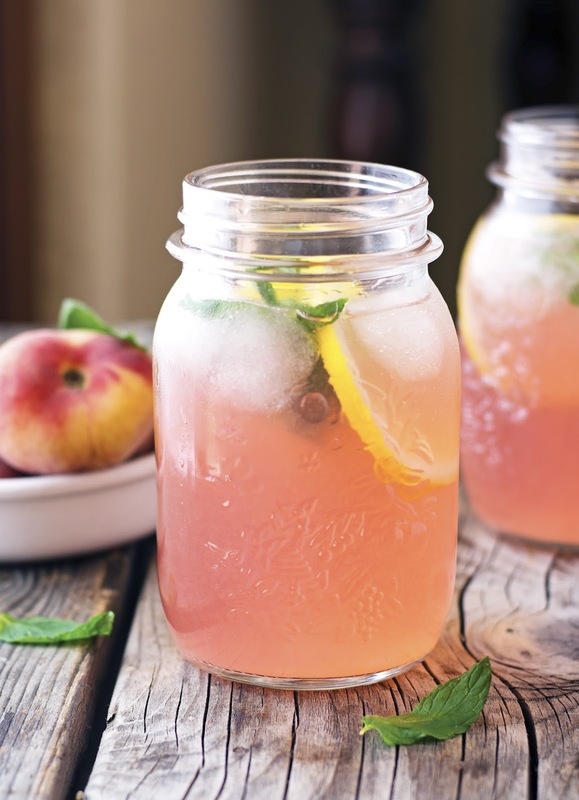 I know I said this about another drink already, but this Peach Mint Lemonade tastes like summer in a glass — it’s not only pretty to look at. It has a nice balance between peach sweetness and lemon tartness, with a pop of mint as a refresher. This is also a great recipe for using up peaches that are past their prime. In fact, the riper, the better. I, for instance, had some overripe donut peaches at hand and they worked great for this recipe. 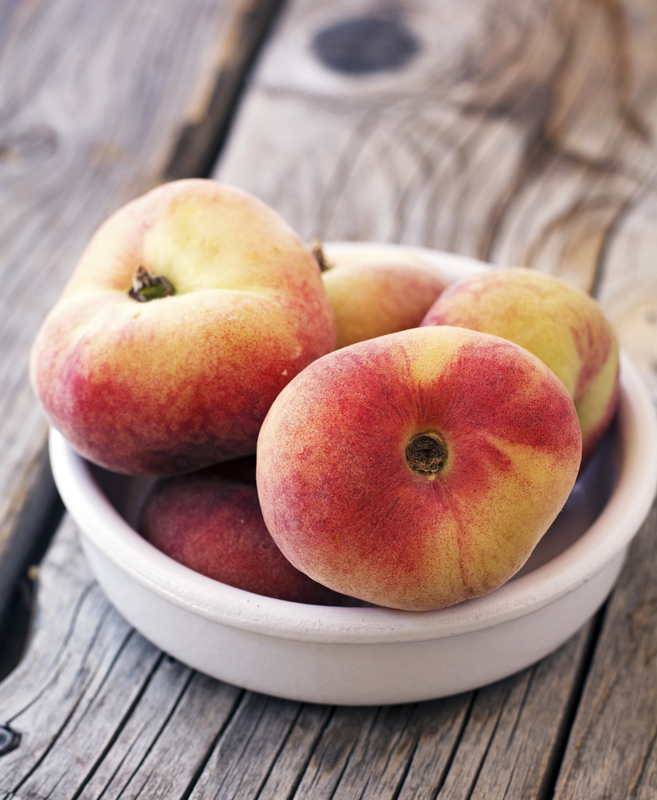 Actually, donut peaches are great in so many ways. For starters the flesh comes cleanly off of the pit. In addition, the pit is tiny, meaning that pound-for-pound, you are getting more peach for your buck. And the flavor, oh the flavor: they are sweet, juicy, and delicious. And they’re also the reason why this lemonade is pink. Let me explain: the peel of donut peaches is pinkish and since the syrup is made with unpeeled peaches -> there goes the pink. All in all this is a killer lemonade: It’s nice and lemony, with peach sweetness balanced by mint freshness. You’re going to love this. Trust. 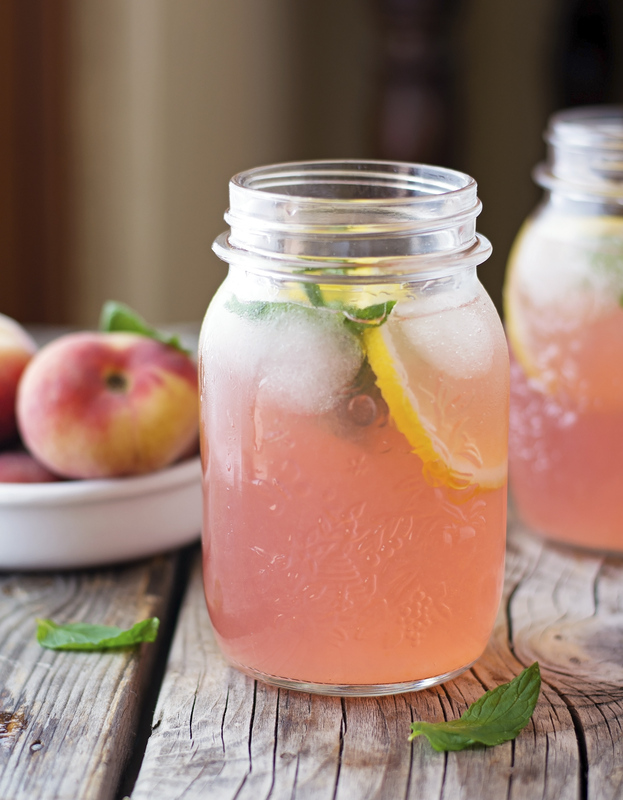 Peach Mint Lemonade Print this recipe! Pit and dice the peaches and transfer them to a medium saucepan. Add sugar and water and bring to a boil. Lower to a simmer and cook for 8 minutes, until the sugar is dissolved and the peaches start to soften. Remove from the heat, stir in fresh mint, cover with a lid, and let steep for at least 1 hour, until cool. Strain mixture through a fine sieve into a large bowl, pressing to release as much liquid as possible. Discard solids. Add lemon juice and water, stir to combine. When ready to serve, pour into ice filled glasses garnished with a couple of lemon slices and mint leaves. One serving yields 80 calories, 0 grams of fat, 21 grams of carbs, and 0 grams of protein. I believe I just found my summer drink! Made this yesterday, it's delicious. Thank you for the recipe! OMG I just tried this (with a quarter of the sugar tough :-)) and its amazing!! Thanks for this inspiration!